Since one week autumn is really here. We had rain and down to 10°C and I’ve been wearing my new winter (or at least autumn, I haven’t decided yet if it is thick enough for winter) coat. 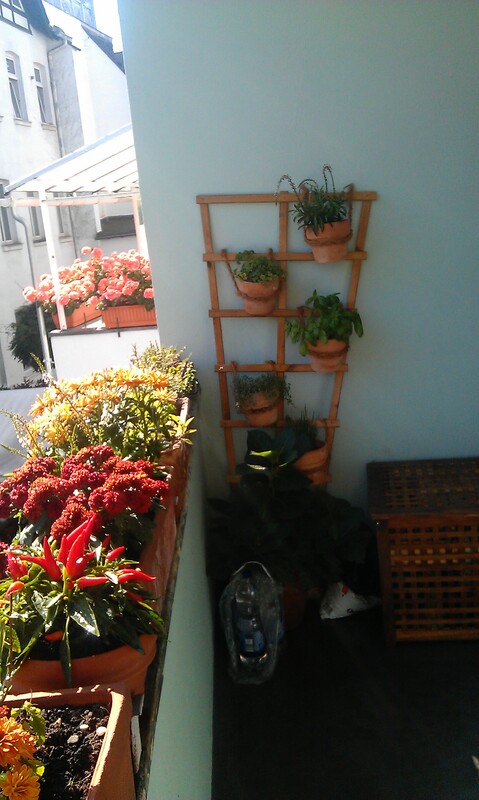 So I thought, I could give my balcony a autumn make over too as long as it is a bit sunny. 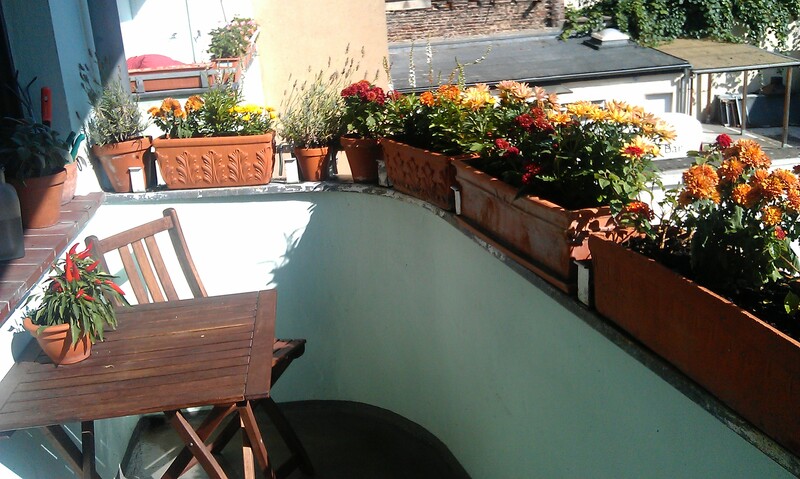 Having had summer flowers that had wasted away on my balcony until then, I got several chrysanthemums for very little money and placed them in the empty flower boxes. I also got two little plants that look like chillies but are actually tasting more like sweet little peppers. Already there were the two Latana Cameras, two lavenders and my herb corner with marjoram, oregano, basil in three forms (Thai basil, little tasty Greek basil and normal sweet basil), chives, parsley, thyme and lemon thyme, salvia, rosmary and peppermint. Now autumn can come and I just have to make sure everything that is not winterhard goes inside or is covered before winter or at least temperatures at night at under 0°C really hit.